Almost every day we watch some of the new and interesting videos on facebook and also share it with others on facebook. You can not share that videos on another messaging app like WhatsApp, hike etc. To do that you need to download those videos and then you can do. Also, once you download those after that you can watch them over and over again. Previously this facility only available in JailBreak iDevices, but now all thanks to new apps which made this happen so easy. Now anyone can download the facebook video on IPhone with the help of these apps. 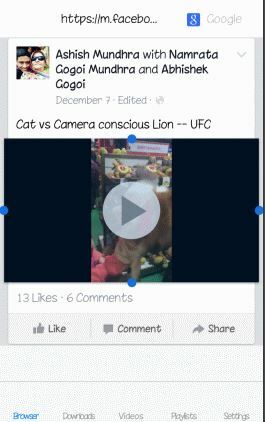 These are the third party app which gives you the power to download the video from facebook on IPhone. So, without wasting more time let’s go and see how it work. 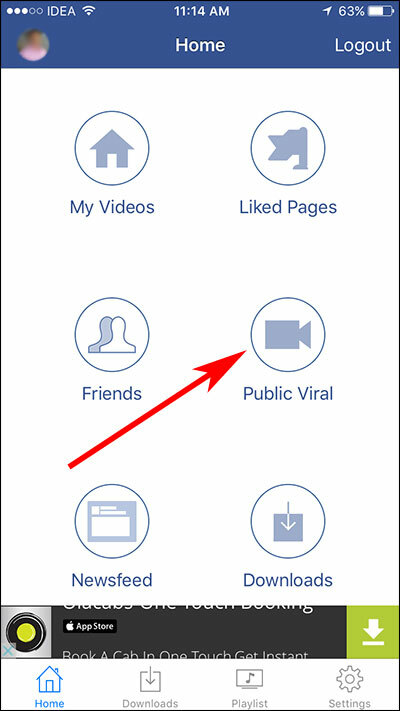 There are many Apps which helps you to download the Video from Facebook on your iPhone. You can download these apps from App store and use them. They all are free and very easy to use. Video Downloader for Facebook by Futerox Interactive is the best app to save the Facebook videos on iPhone. The user interface of this app is simple all you have to log in to this app and select the video you want to download and here you go. Below we are providing you the step to step guide to save Facebook video to iPhone. Step 1. 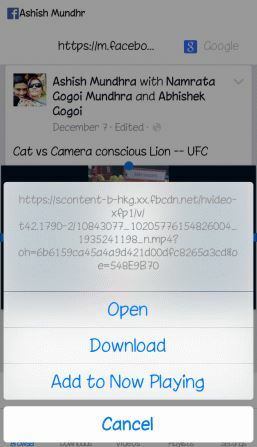 First, download Video Downloader for Facebook from App Store. Step 2. Now open the app. Step 3. Tap on Home from the bottom menu. Step 4. Now you can see many videos categories like My Videos, Liked Pages, Friends, Public Viral, and News Feed. Step 5. You can select any category you want and download the video. Step 6. 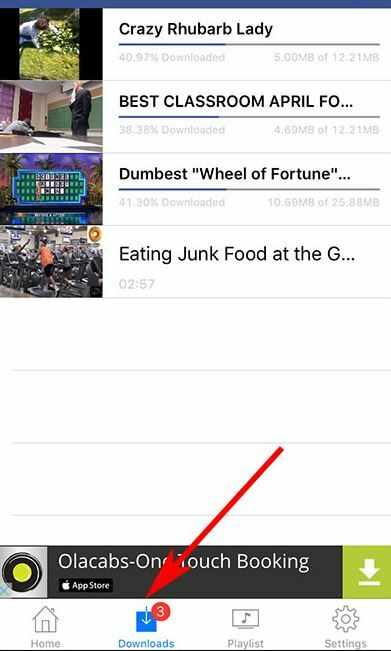 If you want to see your all downloaded video then on the bottom of this app you can see 4 more option Home, Downloads, Playlist, and Settings. To view all downloaded videos tap on Downloads tab. 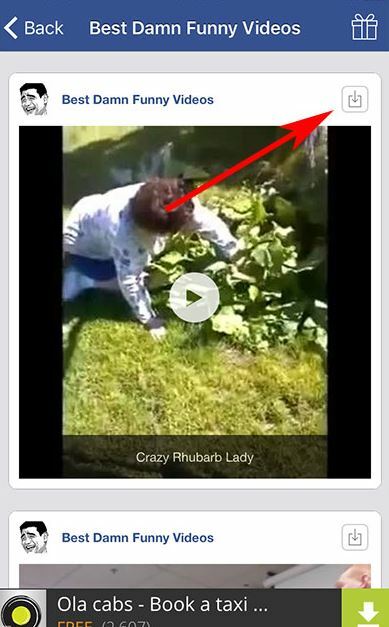 The next app is also the best app to save facebook video on iPhone. You can download this app from app store and start using it. It is also free and the user interface is also friendly. Step 1. Download the Video Downloader Plus from the app store and install it. Now login to your facebook account. Now you can see all videos and also them which you liked. Step 2. To download the video you need to tap on the video and a pop will appear, you can see the options like open, download etc. Now select the download and your video will be downloaded. So, guys now you can download any video from facebook on IPhone. These apps will help you a lot to do that. Now download any video and share it with your friends on WhatsApp or any other messaging app. Share this article with your friends, relatives, and neighbours so they can also get to know about these apps to save facebook video to iPhone. This is cool. I’ve been seeing a lot of new ways of doing this recently, but I still like Acethinker video downloader the best because it is a free cloud based software to download facebook videos, no need to download or install anything…just a thought.